If you can’t decide between a guided tour or independent sightseeing, this is the tour for you, with a private driver at your disposal all day long. 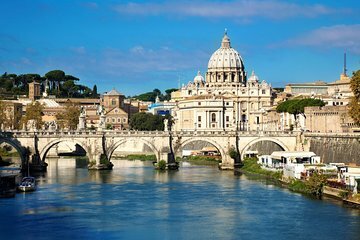 Create your own itinerary, jumping out to visit the Colosseum, the ancient Appian Way and the Catacombs; take in the views from Palatine Hill; or admire landmarks such as the Spanish Steps, the Trevi Fountain, or Piazza Navona. Entrance fees are not included.